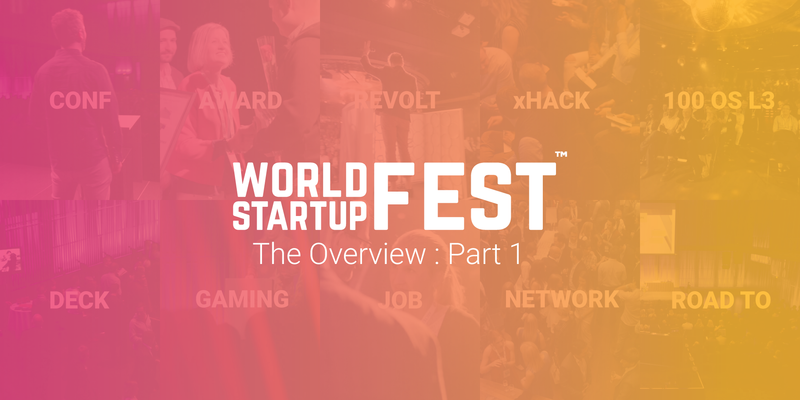 This is part 1 of a series explaining the detailed breakdown of World Startup Fest. Coming soon are part 2, part 3, part 4, part 5, part 6, part 7, part 8, part 9, part 10, part 11 and part 12 as part of this series. Written by Jerric Lyns John. World Startup Fest is committed towards helping entrepreneurs and innovators disrupt the world by creating new business and inventing new industries. 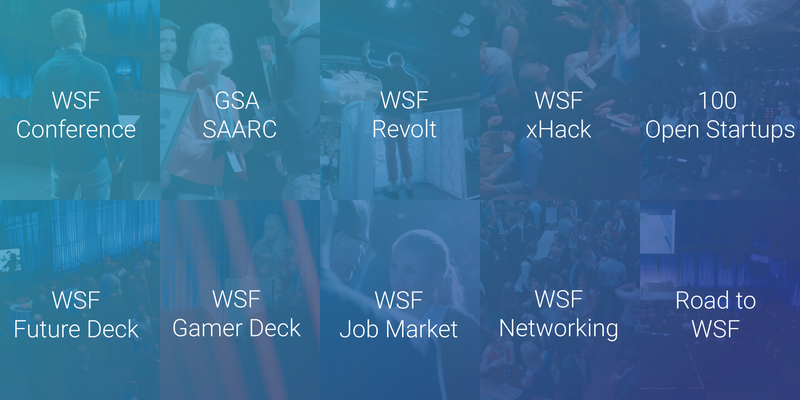 WSF is known for its conference, awards and hackathon that celebrates the confluence of emerging technology, entrepreneurship and global economy. The festival, an essential destination for entrepreneurs and innovators, features keynotes, firesides, stories, workshops, pitches, exhibition and plethora of networking opportunities. WSF is able to prove that disrupting industries happen by disrupting individual mindsets, by blending in perspectives of experienced founders and updating knowledge about emerging technologies, and hence our mission — “Disrupt the mind; Disrupt the world”. 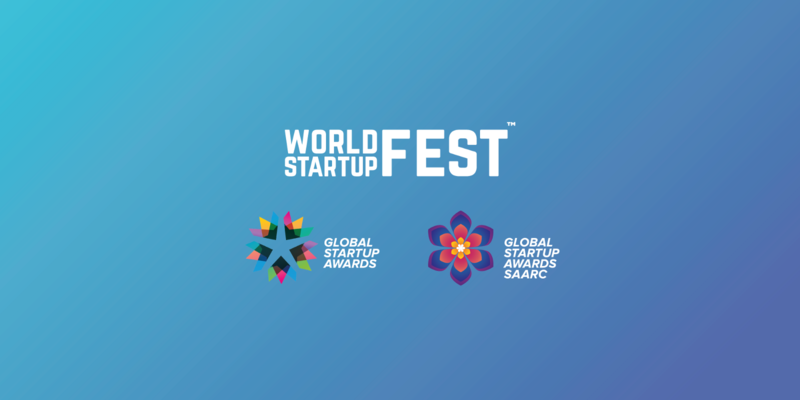 World Startup Festival is organized by World Startup Foundation and Global Startup Awards. World Startup Foundation is a non-profit organization with the vision to bridge the distributed ecosystems of innovation from across the world for a unified global disruption aimed at the betterment of humanity, and Global Startup Awards is a Scandinavian organization focused on awarding the best innovation from startups across multiple verticals and boundaries. Join us in the coming months in India for WSF 2018 and be part of the most disruptive, innovative and advanced communities in the world. With over 20,000 attendees, 180 speakers, and 42hrs of content, we’ll deliver the largest startup festival leaving a mark till we come back again next year. The Conference: WSF Conference offers a highly curated conference programming with a jaw-dropping 24 tracks based on our theme for WSF. We’ve put together emerging technology, entrepreneurship and global economy as the core elements of topics that will be discussed during the conference. When such contents of high quality and diversity is delivered, we expect our participants to be inspired and motivated so that they can build new businesses or improve their existing ones. The Awards: Global Startup Awards SAARC, is an awards program — with its roots from Nordic region where it is considered as Oscars for startups. We award the most innovative and disruptive startups in the SAARC region under 21 categories. We follow a very strict framework from GSA in selecting startups which includes an extensive workflow with a panel full of Advisers, Ambassadors and Jury to ensure that we award the right startup every year and to ensure quality. The Pitch: WSF Revolt, the flagship pitching event of WSF, with a prize money of $50,000 and a priceless network. We will select the top 100 early stage startups from across the world through our application process and bring together the best pack of Jury which involves Celebrity Entrepreneurs, Investors, Ecosystem Builders and Industry Leaders. Revolt will offer exposure, qualified feedback and platinum entry into our exclusive private dinner with the top end influencers. The Hackathon: WSF xHack, an extensive hackathon with 19 tracks giving away $50,000 and other goodies as prizes. We made sure that the tracks and its associated challenges can build valid businesses — one of our main jury points is the number of customers hackers will be able to on-board in the 48 hrs of hack. The Corporate Connector: 100 Open Startups is co-locating their Level 3 event with WSF, being a global open innovation platform with its wide reach of corporate they can bring in corporate advises and interactions early into the startups. This concept of corporate collaboration opportunity is highly beneficial for many startups. The Future: WSF Future Deck, a trade show with a focus on showcasing the technology, solution and products that can disrupt the future. We are bringing together the best organizations to showcase their best during the trade show. We have assigned special spaces in the trade show for startups, makers, governments and international delegates. The WSF Future Deck will also host the preliminary for Revolt 100 startups. The Gamer: WSF Gamer Deck, the most engaging and immersive exhibition focusing on the gaming industry. We offer PC Arena, Mobile Gaming Arena, a collaborative Gaming Hub, an immersive AR/VR space — these are apart from the exhibitors with a wide range of gaming titles. The space will also accommodate product launches, demos and live gaming entertainment. The Workforce: WSF Job Market, a pavilion dedicated for companies who wants to attract talents during the event. We offer companies spaces to display their requirements and also exhibit your company culture in an interactive space so that the visitors can know more about your company. There will be meeting spaces so that once a company shortlists its candidates can directly do the interview with them. We are crossing xHack with WSF Job Market. The Network: WSF Networking, is a well thought out plan from the organizing team to ensure that the people are meeting others based on the right context and interest levels. Every WSF events have Lounges & Parties, One-on-One’s and Exclusive Dinner associated with it. We also offer the selected startups from GSA SAARC and Revolt the opportunity to have special meetings with stakeholders so that they get the necessary advice and push. The Socials: WSF Socials are events that WSF hosts internally to help promote, educate, train the head of departments, managers, head of chiefs and volunteers in form of social gathering, sessions and parties. This is a structuring that is core to the World Startup Foundation in ensuring that we host one of the best festivals out there. The Road to WSF: A series of community events focused on building up to the mission of the festival, we really believe that the community is the backbone of the event and often times we will engage with our community in a pre-planned schedule to offer events that can influence their decision making in the presence of some of the influencers. With these power packed combination of sub-events we position ourselves as a one stop shop to get inspired and motivated for disruption, come visit our website to dig deeper or you can read through this whole series of blog posts to know more. For Part 2 — “The Conference” of World Startup Fest click here.